Jack's back - in his most explosive adventure yet.Never forgive, never forget. That's Jack Reacher's standard operating procedure. And Francis Xavier Quinn was the worst guy he had ever met. He had done truly unforgivable things. So Reacher was glad to know he was dead. Until the day he saw him, alive and well, riding in a limousine outside Boston's Symphony Hall.Never apologize. Never explain. 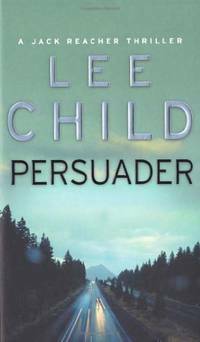 When Reacher witnesses a brutal attempt to kidnap a terrified young student on a New England campus, he takes the law into his own hands. That's his way, after all. Only this time, a cop dies, and Reacher doesn't stick around to explain. Has he lost his sense of right and wrong? Just because this time, it's personal? Transworld Pub. PAPERBACK. 0553813447 Very Good Condition. Five star seller - Buy with confidence! . Very Good. Transworld Pub. PAPERBACK. 0553813447 Book is in good condition. Discolouration present. Creasing present. Fingermarks present. Cover has some wear. Front cover differs from the one shown. Scruffs on the front and back cover. Small marks on back of front and back cover, front of the first page and on the back of last page. Small mark on every page. Small ware at the side, top and bottom of a few pages. Fold crease in the top and bottom corner of front and back cover and on a few of the pages. Scruff at the side, top and bottom of every page. Foxing. -- Re-Read is a social enterprise that trades in and recycles books to reduce waste, save them from landfill and provide services and activities that promote literacy, education attainment and quality of life in South Yorkshire and supports Askern Community Library. All overseas shipping is via Airmail. . Good. Transworld Pub. PAPERBACK. 0553813447 Like New. Clean, Tight and Neat. Five star seller - Buy with confidence! . Fine. London: Bantam, 2004. First printing of this edition. Paperback. Very Good. First printing of this mass market paperback edition. 7th in the series of books featuring Jack Reacher. A clean, unmarked copy in printed wrappers. Bantam Books Ltd, 04/01/2004. Paperback. Used; Good. **WE SHIP WITHIN 24 HRS FROM LONDON, UK, 98% OF OUR ORDERS ARE RECEIVED WITHIN 7-10 DAYS. We believe you will be completely satisfied with our quick and reliable service. All orders are dispatched as swiftly as possible! Buy with confidence! Transworld Pub. PAPERBACK. 0553813447 Brand New ,Original Book , Direct from Source , Express 5-8 Business days worldwide Delivery. . New. Penguin Random House, 2004. Paperback. New. Bantam Books (Transworld Publishers a division of the Random House Group). PAPERBACK. 0553813447 . Very Good. Bantam Books (Transworld Publishers a division of the Random House Group). PAPERBACK. 0553813447 . Good. 2004. This book will be POSTED AT OUR STANDARD RATES FULLY INSURED (UK) ONLY . Please email for further details. OFFERED FOR SALE BY A FULL-TIME STOCKHOLDING CAREER BOOKSELLER WHO TELLS YOU WHO THEY ARE AND WHAT THEIR TELEPHONE AND ADDRESS CONTACT DETAILS ARE! POSTED AT OUR STANDARD RATES FULLY INSURED! (UK ONLY). FEEL FREE TO E-MAIL FOR PHOTOGRAPHS AND FURTHER DETAILS.. Not Signed or Inscribed. Mass Market Paperback. NEAR FINE (NEAR BRAND NEW)/No Jacket. MASS MARKET PAPERBACK. MASS MARKET PAPERBACK. 2004. This book will be POSTED AT OUR STANDARD RATES FULLY INSURED (UK) ONLY . Please email for further details. OFFERED FOR SALE BY A FULL-TIME STOCKHOLDING CAREER BOOKSELLER WHO TELLS YOU WHO THEY ARE AND WHAT THEIR TELEPHONE AND ADDRESS CONTACT DETAILS ARE! POSTED AT OUR STANDARD RATES FULLY INSURED! (UK ONLY). FEEL FREE TO E-MAIL FOR PHOTOGRAPHS AND FURTHER DETAILS.. Not Signed or Inscribed. Mass Market Paperback. Very Good ( AVERAGE)/No Jacket. MASS MARKET PAPERBACK. MASS MARKET PAPERBACK.